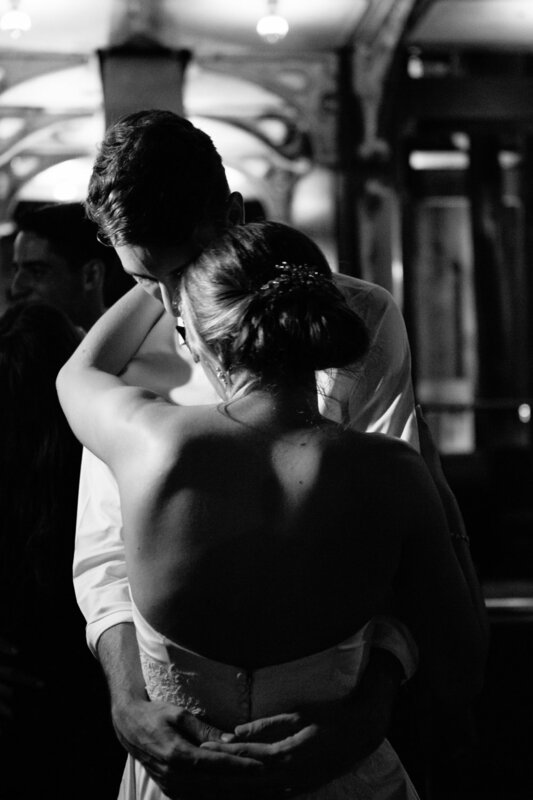 There are so many reasons I love coordinating a wedding day, and it’s couples like Megan and Eddie that make my job an absolute dream. They came to Urban Soirée Boston thanks to a referral from their photographer, Kelly Benvenuto and I knew they’d be some of the sweetest people to work with right from the get-go. 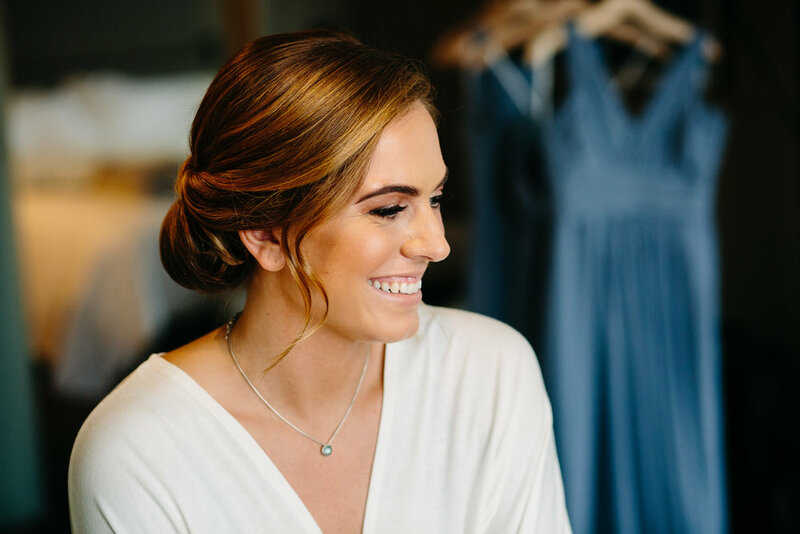 Megan was such an organized bride, making it a smooth process to come alongside her vision and pull together the final bits and pieces. 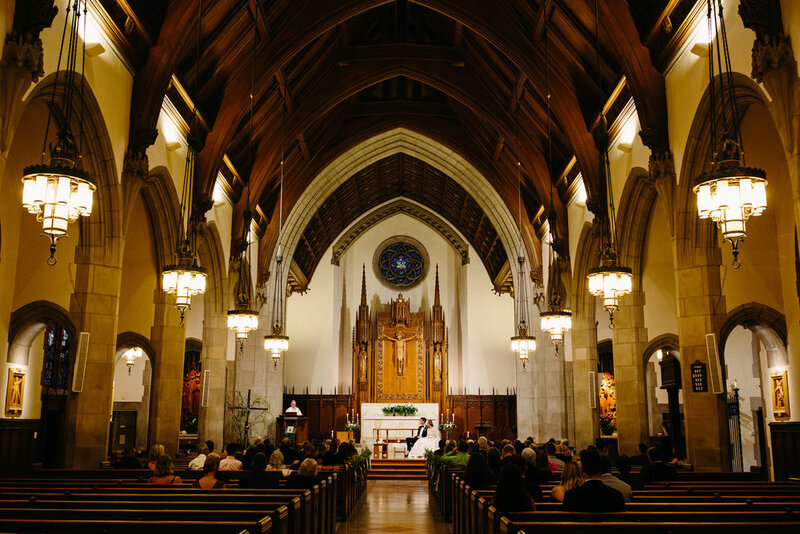 We outlined the logistics for their beautiful church ceremony and fun reception, ensuring every last detail went off without a hitch. 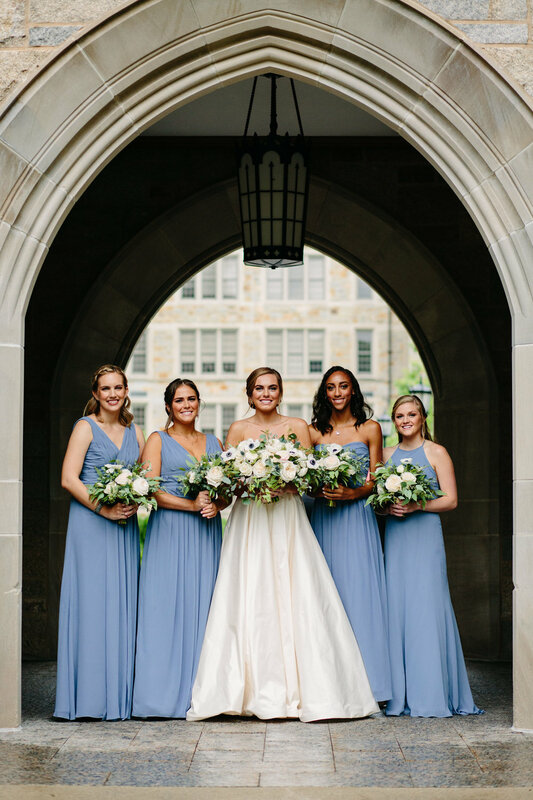 The color palette was made up of dusty blue, ivory, navy, and blush all tied together with a touch of gold for good measure. 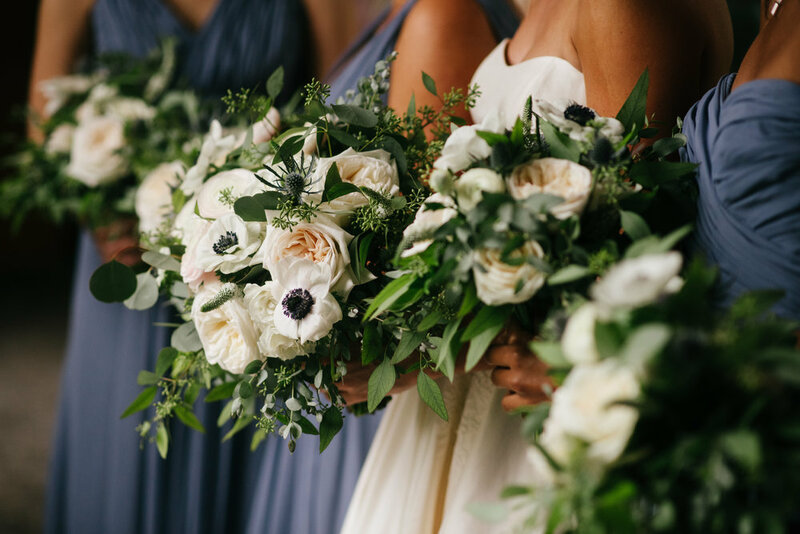 To complement Megan’s bridesmaids in blue, Megan at Poppy Floral crafted garden rose, anemones, and eucalyptus-filled bouquets, and carried those floral elements throughout the reception design. 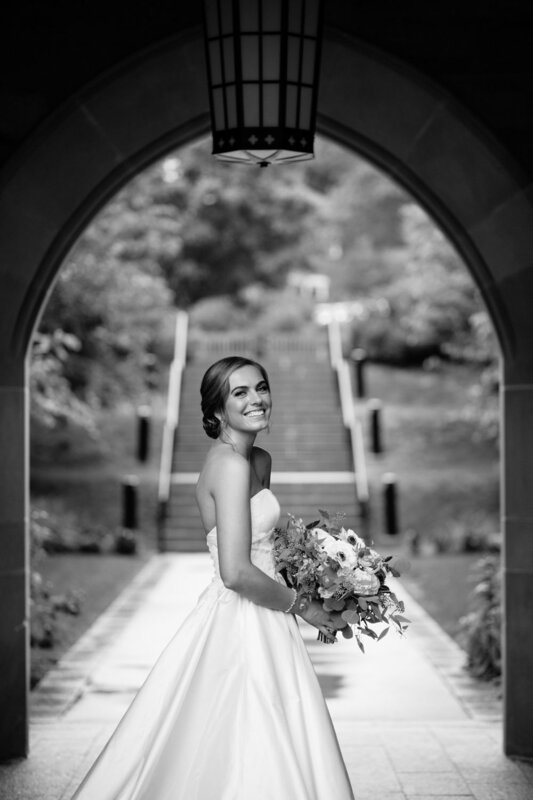 While there were a few rain showers on their wedding day, Megan and Eddie did such a great job staying calm and going with the flow. 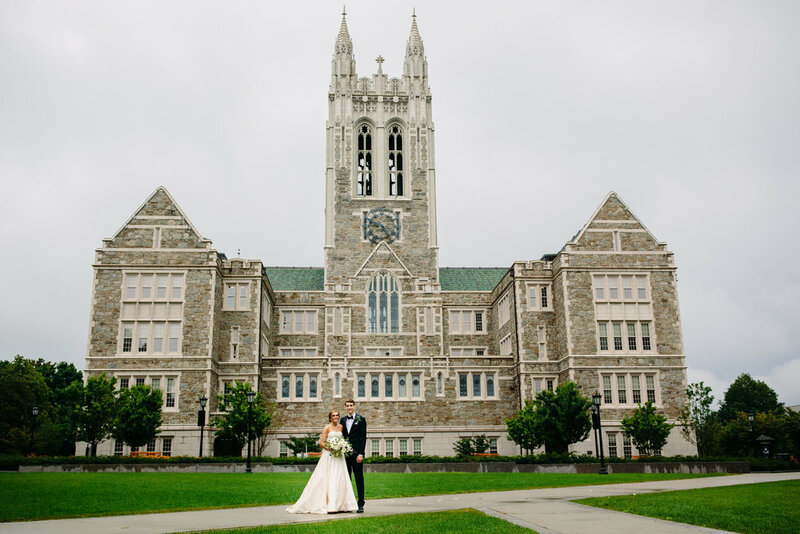 As Boston College grads, it was important to have portraits taken at their beloved alma mater, so we moved their first look under the building awnings to escape the rainy weather. 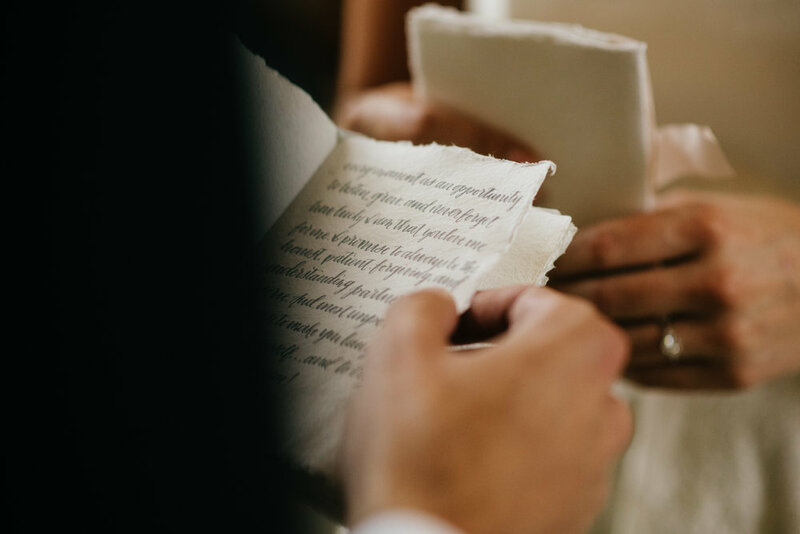 During the first look, Megan and Eddie shared their vows with one another and it made for an incredibly special and intimate moment for the two of them. 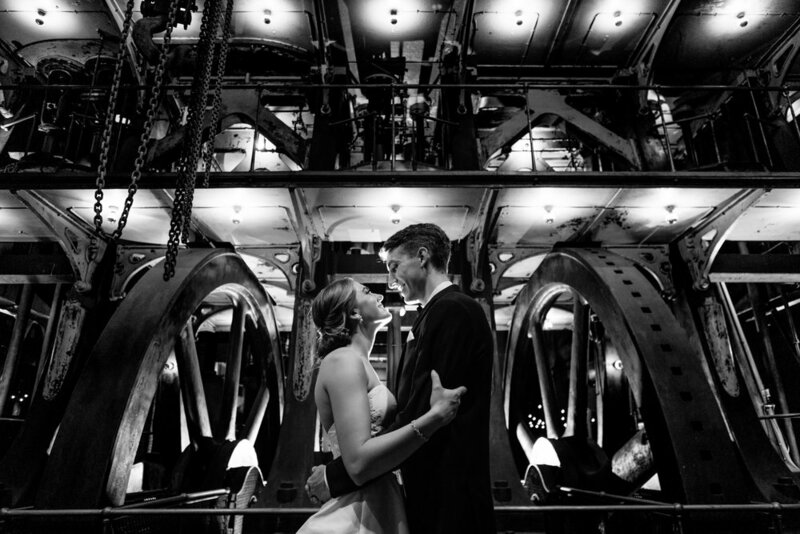 After the ceremony at the Church of St. Ignatius, guests were welcomed to their reception in the unique space of Boston’s Metropolitan Waterworks Museum. 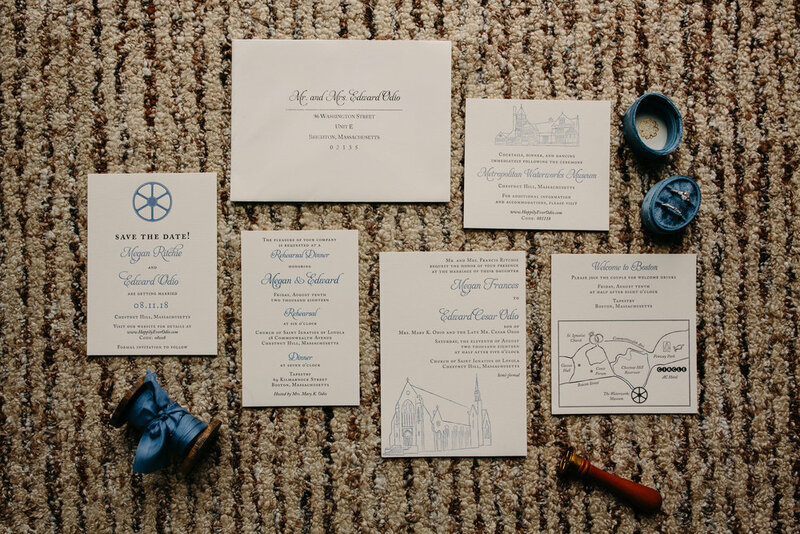 Megan and Eddie’s style worked seamlessly with the building’s Gilded Age architecture—from their styled place settings to the menu card wax seals and every little detail in between. At the end of a beautiful night, guests lined up for a sparkler send-off that was truly one for the books. 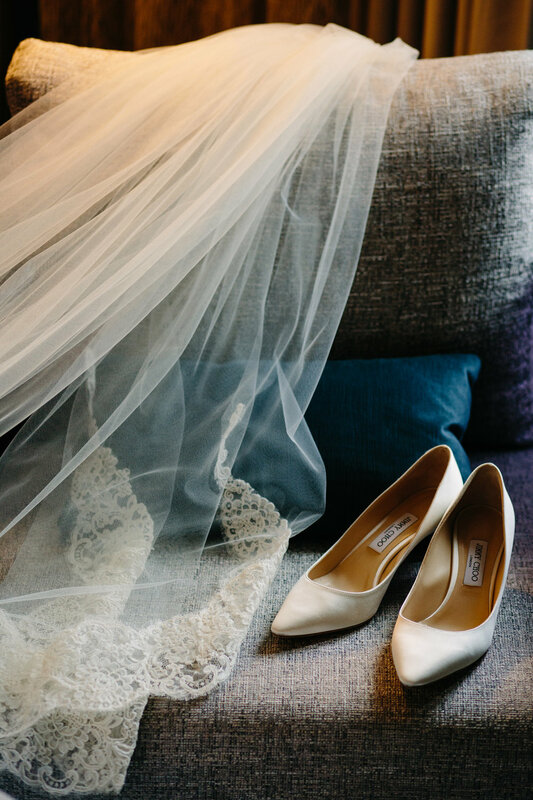 M+E—it was a joy to be a part of your wedding and I wish you a lifetime of days as special as this one.